A job in the Indian Railways is still a huge draw card for the youth, given the career and financial security attached to it. That’s why when the Railway Recruitment Board (RRB) announced 27,795 vacancies for Assistant Loco Pilots (ALP) earlier this year, lakhs of aspirants lined up to apply for the exam. Earlier this month, RRB released the result for the RRB ALP Stage 1 exam conducted on August 9. If you have made the cut, you are one step closer to your goal and there is a good chance that you have it in you to make a good assistant loco pilot. From here on, with just over a month to go for the RRB ALP Stage 2 exam, channelizing your energies and effort in the right direction is all that counts. To be able to do that, you need to work with the right RRB ALP Stage 2 books. The RRB ALP Stage 2 exam is divided into two parts. Part A comprises 100 questions on mathematics, general intelligence and reasoning, basic science and engineering, general awareness of current affairs and Part B consists of 75 questions on relevant trade. The second part of the Stage 2 exam is an online test of qualifying nature and all questions for this segment are based on syllabus prescribed by the Director General of Employment & Training (DGET). The difficulty level of this exam is slightly higher, as there is a provision for negative marking. You stand to lose 1/3rd of a question’s mark weight-age for every wrong answer, so being thoroughly prepared to answer trick questions and attempting only the ones you are a 100 per cent confident about are crucial for making it past the cut-off. You also need to be mindful of the time constraints while attempting the RRB ALP Stage 2 exam, as you have only two hours and 30 minutes to attempt a total of 175 questions – that’s a little over a minute per question. The one subject that gives jitters to most students is mathematics. If mathematics has been your Waterloo during your student days, chances are that you will find it daunting to revisit the subject. Since the RRB ALP exam is meant for aspirants with a technical background, with Class 10 / 12 and ITI from a recognized institute as the basic education eligibility criterion, you can find solace in the fact that the Mathematics section for this exam entails basic school-level concept such as number system, HCF and LCM, ratio and proportion, profit and loss, time and distance, algebra, geometry and so on. Your first objective should be to brush up on these concepts using textbooks for Classes 6 to 10, relearn and revise the formula, and then move on to RRB ALP preparation books to attempt questions based on these concepts drafted from the point of view of the exam. Mathematics is all about honing your problem-solving skills till you know the application of difference concepts inside out. To achieve this, you must practice new problems related to different topics every day and set at least one hour in the day aside to just revise and re-revise different formula and concepts. General Knowledge often emerges as the decisive factor in the outcome of your exam performance. With a thorough knowledge of national and international current affairs, you can potentially get every question in this segment right and that’s what you should aim for to bolster your chances of success. The questions in the general awareness section revolve around politics, culture, personalities, economics, sports, science and technology, and important happenings around the world. Current affairs and general knowledge are always considered vast subjects that cannot be covered from just one source or book alone. Make it a habit to read the newspaper every day and make notes of the important stories you come across. In addition to this, you can also rely on yearbooks like the one published by Manorma to get a roundup on all the important events of 2017-18. A useful trick is to stop your preparation at events dated around two months before the examination, as that’s when the question paper is likely to have to been set. Download a newspaper app to stay current with the goings on around you and rely on eBooks and PDF versions of current affairs compilation for up-to-date knowledge on different important events. The basic science and reasoning section of the Stage 2 exam is markedly different from the general science section of the Stage 1 exam. While the Stage 1 science exam focused on concepts, this one is more application oriented. It is a good idea to stock up on basic science and engineering book in PDF to cover a spectrum of relevant topics, ranging from engineering drawings to heat and temperature, speed and velocity, levers and simple machines, mass weight and density, basic electricity, work power and energy, occupational safety and health, and environment education. 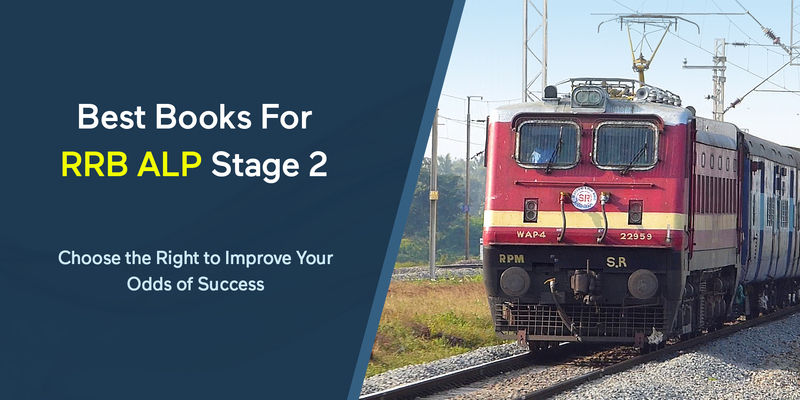 Since the questions in this segment will be entirely application-based, your approach should be to first brush up the concepts and then practice them with the help of basic science and engineering book in PDF compiled specifically for RRB ALP Stage 2 Exam. This is a fairly simple section with a high scope of getting a good score. The questions are designed to test your cognitive abilities and logical thinking and based on concepts such as argument and assumption in statements, analogies, syllogism, number and alphabetic series, Venn diagrams, data interpretation, coding and decoding, and analytical reasoning etc. The best way to prepare for this section is to download a cross-section of e-books, in addition to some reasoning books, and practice these different concepts as much as you can. If you find yourself stuck in comprehending the logic used for problem-solving in certain concepts take help of online tutorials to get the basics right. As mentioned before, the relevant trade exam is based entirely on the syllabus prescribed by the DGET. So, the best way possible to work your way around this is to grab a copy of the syllabus and mug it up till you know it from cover to cover.Practice RRB ALP stage 2 Previous year papers to be better prepare for the exam. With a little over four weeks at hand, your aim should be to finish off your preparation by the end of the third week and use the last 7-10 days for revision and attempting mock tests. A little strategic planning is all it’d take to get on the right side of the RRB ALP exam finish line.